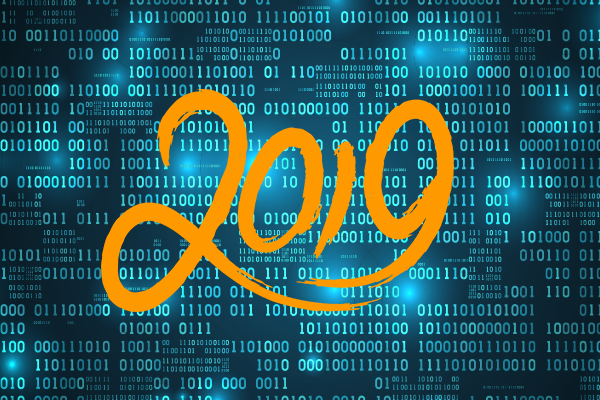 2019 is poised to be yet another landmark year in cybercrime. In fact, it’s projected to be the first year where the cost of cybercrime will reach over $2 trillion dollars globally, with no end in sight. Knowing what’s coming down the pipeline as far as cyber attacks, and security are concerned has become crucial for organizations of all sizes. Here are a few trends we expect to see in 2019 and beyond. Well, this is no surprise. 2018 saw a major rise in cybercrime, and 2019 is going to be no different. Major organizations across the globe are spending millions in damages after major hacks, enough to scare competitors to flock towards cybersecurity investments to ensure they’re not the next big name on the news. The problem is there’s no end in sight, and cybercrime is steadily rising as criminals on the web realize it’s a lucrative and easy way to make a living. And being a small business doesn’t make you safe either – in fact, 43% of attacks target small businesses and not the major corporations that make the news. Cybercrime is a threat to any and all businesses, regardless of your size or affiliations. Over the next year, we’re likely to see even more attacks happen to companies we would otherwise have guessed were safe. Business leaders can no longer claim they’re “under the radar,” because as cybercrime becomes more mainstream, everyone is a potential target. Phishing scams are some of the oldest in the book as far as cybersecurity is concerned. Traditionally, these scams are easily avoided with employee training – making sure they don’t click suspicious links or fall into email traps set up by hackers, and you’re good to go. But, 2019 is likely to see a new trend in phishing scams – where they have even more focus and information on their targets. One of these high-level hacking strategies will even go so far as to use search engine optimization phishing to get victims to click – meaning the phishing links they fail victim too aren’t in emails or messages, they appear to be what they searched for on an online search engine. What’s easier than getting a victim to click on a link they believe they specifically searched for? It’s brilliant, though difficult, and something concerned business leaders need to take into consideration when reviewing their cybersecurity training. Additionally, traditional phishing scams are likely to make a comeback as hackers begin to be more patient in their strategies. Hackers are beginning to learn more about their subjects, taking time to crack into their networks and read their emails to craft phishing scam emails that will resemble messages from trusted acquaintances rather than outside sources. This means when a hacker does finally send that phishing scam, it looks to unsuspecting employees a message and link from a trusted confidant, and they’re much more likely to fall victim to the scam. With these many new threats emerging across the web, improving cybersecurity measures for your organization is going to be critical. Some of these updates will come automatically, like the WPA3 update for improved wireless, which will help improve the security of WiFi enabled devices greatly over the previous WPA2 security protocol. And with even more WiFi and “smart” devices coming into the home and office, wireless security is critical. But, for many organizations, there needs to be more done to protect against new and existing threats. Cybersecurity spending is expected to reach over $124 billion in 2019, and that’s just an 8% growth within the next year. As new threats emerge, previously acceptable levels of cybersecurity will no longer cut it – but not being prepared can have disastrous consequences. So how do you ensure your organization is prepared for the oncoming wave of cyber danger in 2019? By partnering with a local IT consultancy to cover your cybersecurity needs. At NENS, we help our clients with their technological needs, and cybersecurity is our top priority. Contact us at sales@nens.com to learn how we can help keep your organization safe in 2019 and beyond.